Having a perfect outdoor wedding is everyone’s dream. If you are a couple getting married in a casual, friendly atmosphere, providing a little bit of hint to your guests about your wedding theme will be mandatory. Your guests will be able to avoid being a fashion disaster by choosing the wrong dress (e.g wearing a long dress with heels for a beach wedding). Furthermore, it is important to carry your taste and wedding’s theme along from the wedding invitations right through to the big day itself. Here are some tips on choosing the right invitations for your garden wedding based on the wedding style and location. If you are having a rustic theme wedding and it takes place in a barn you may want your guest to wear boots or flats instead of heels. You can include a simple note on your wedding invites such as PS: The ceremony & reception will be on the lawn; choose your footwear accordingly!. Keep it polite and make sure you don’t sound demanding. To give a clue about the rustic wedding theme, you can print your wedding invites on kraft paper or even wood! There is no way your guest will miss that hint about the location of your wedding. If you are having a tea-party wedding which held in a garden full of flowers or another clean outdoor area, you may want your guest to wear their best and sweetest suit instead of boots and jeans. 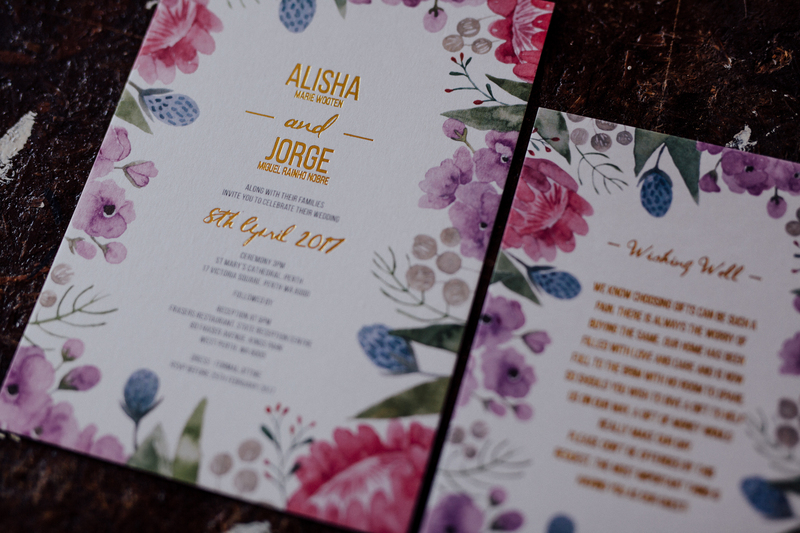 Incorporating floral designs in your wedding invites will be the ideal thing to do. You can keep them in a flat digital print if you are on a budget, or make them looks more sophisticated by adding a bit of foil stamping on it. A perfect classy tea-party wedding it is! Beach weddings require a specific kind of outfit, since there are lots of nature’s elements to contend with. They may not want to spend a lot of money getting their hair professionally straightened, for example, when the wind may blow it back into curls in no time! Guests should be able to work out from the address that the wedding is going to be happening on a beach, but give them some hints in the styling of your invitation or save the date. You might go with a blue colour palette, use wave-like design elements or use other beachy bits and pieces to get the message across. If you’re having your wedding somewhere off the beaten path, your wedding invitations should be just as unique. Whether it’s a national park, a mountain peak, the deck of a cruise ship, or your own backyard, the trick is to seek inspiration in your location. Think about the colours and surroundings: what kind of trees are there? What sort of view? What might nature throw at your guests there that they should be prepared for? Think about how they should dress and carry that into your design. 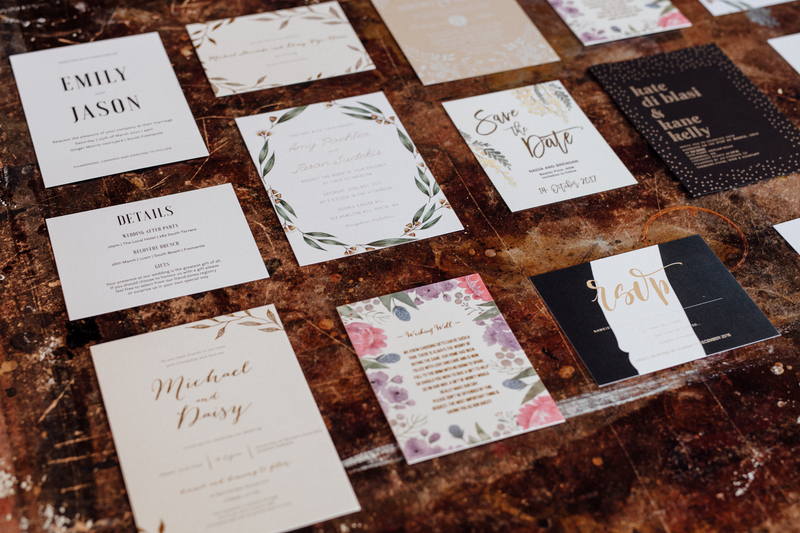 Of course, you might also need to put it into words or give them the heads up on your wedding website, but you can do this even more effectively if your wedding invitation suite and venue are cohesive. There’s nothing quite like an outdoor wedding, so make sure you tell your guests about it in style so they can come prepared and enjoy every moment of your day. For more ideas on wedding invitations and stationary, visit Paperlust. 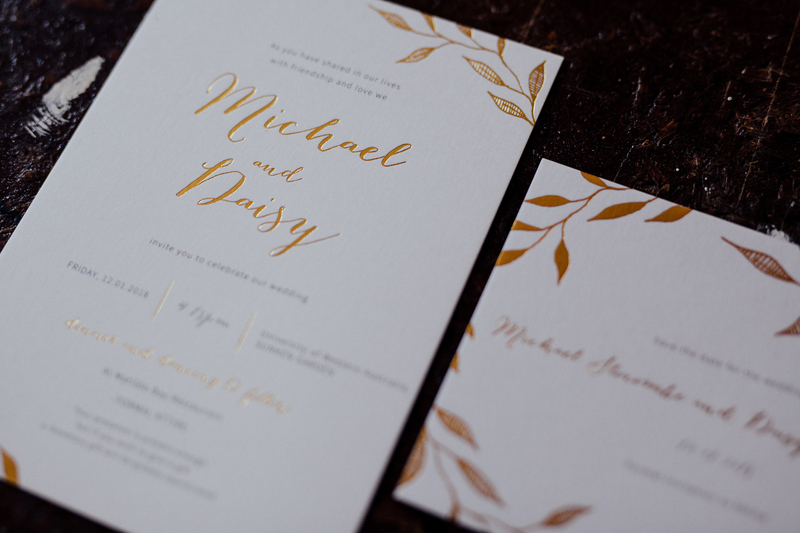 Paperlust is a Melbourne based invitation design & print marketplace.